Once again, we had a “bombshell” story about the Russia investigation. And once again, it totally blew up in the mainstream media’s face. It brought liberal America to full froth. They licked their lips. They lusted for impeachment—and then it was exposed as straight trash. Who exposed it? Well, that would be the investigation helmed by Special Counsel Robert Mueller, whose office issued a rare statement debunking the BuzzFeed article that President Trump directed ex-personal lawyer Michael Cohen to lie to Congress about a proposed real estate deal in Moscow. For an entire day, this was obsessed over—and then the devastating blow to the face. From the start there were issues, you already know what they are, but one glaring one was that authors Anthony Cormier and Jason Leopold seemed to be on different pages concerning the evidence to back up their story. Cormier said he hadn’t seen the evidence, while Leopold said we’ve seen documents. On that too, the Mueller investigation said no such documents exist. The Washington Post and The New York Times did some cleanup of this total disaster of a story, and the former admitted that they speculated without fully confirming the story. I ask is that CNN gives equal time to the retraction.... (um obliteration you got hit with from Special Counsels Office) that you gave to the #fakenews part of the story you all so desperately wanted to be true. The entire premise of this story, which received wall-to-wall coverage, was based on "evidence" the reporters admitted they never even saw. I can’t speak to Buzzfeed’s sourcing, but, for what it’s worth, I declined to run with parts of the narrative they conveyed based on a source central to the story repeatedly disputing the idea that Trump directly issued orders of that kind. CNN: Mueller says your report is wrong. How does that make you *feel*? CNN: What if your sources are wrong? Mueller: BuzzFeed article is not accurate. Chris Matthews: Not accurate doesn’t mean it’s not true. In the view of the special counsel’s office, that was wrong, two people familiar with the matter said, speaking on the condition of anonymity to discuss internal deliberations. And with Democrats raising the specter of investigation and impeachment, Mueller’s team started discussing a step they had never before taken: publicly disputing reporting on evidence in their ongoing investigation. 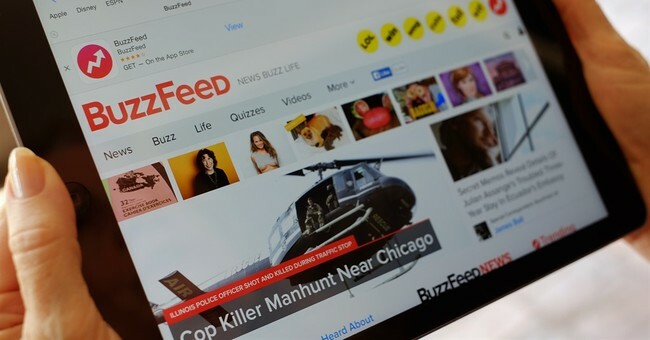 People familiar with the matter said after BuzzFeed published its story — which was attributed to “two federal law enforcement officials involved in an investigation of the matter” — the special counsel’s office reviewed evidence to determine if there were any documents or witness interviews like those described, reaching out to those they thought might have a stake in the case. They found none, these people said. That, the people said, is in part why it took Mueller’s office nearly a day to dispute the story publicly. In the interim, cable news outlets and other media organizations, including The Washington Post, dissected its possible implications — even as their reporters were unable to independently confirm it. Over at RedState, Joe Cunningham aptly dissected the story, citing that one of its co-authors, Leopold, has a history of generating total fake news. Who was the source? Oh, it turned out to be Lanny Davis, Cohen’s lawyer. And he retracted everything he said prior. You can’t polish a turd. You can’t spin this. This is a total and complete defeat for the opposition press, who is suffering from an addiction to eating straight sewage from the trough that is the Russia investigation. Now, that doesn't mean the liberal media won't try to defend BuzzFeed. They have, and it's totally pathetic. And BuzzFeed stands by their trash reporting.